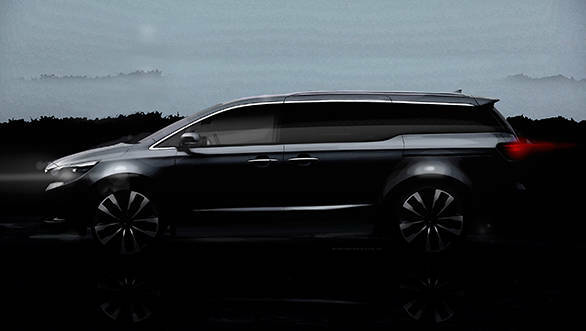 Kia previously released a teaser image of its new MPV which, we said could be the 2015 Sedona. As it turns out the second image has been released and this time it clearly states the name as the 2015 Sedona MPV. The new car will make its debut at the New York International Auto Show which is scheduled to commence by next week. This time the image shows the side profile of the midsize MPV. The bold wheel arches seem more prominent from this angle and house big five-spoke alloy wheels. The car has a swooping roofline and by the looks of it, the rear occupants might have slightly less headroom. Engine details have not been fully disclosed. The Sedona will be powered by a 3.3litre, V6 GDi engine, which in the Sorento crossover produces figures of 294PS and 341Nm, but we will have to wait till the car is unveiled to see how it performs under the hood of the Sedona. 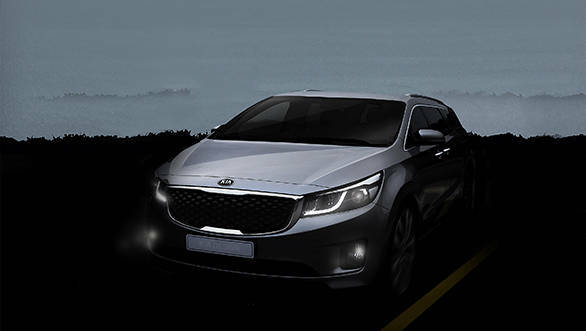 Kia has said that its newest offering will have a host of innovative technologies and safety features. They have stated that the cabin of the Sedona will have Kia's UVO infotainment and telematics system which was shown at this year's Consumer Electronics Show.